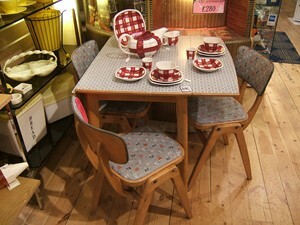 Retro furniture is furniture from the 50s, 60s or 70s. Unlike the previous Art Deco and Art Nouveau periods which concentrated on exclusive designers, retro furniture covers the whole market. Mass-market furniture makers quickly interpreted the latest styles so that within a matter of a few years what was exclusive and expensive was available to everyone. This means buying retro furniture is easier than for any previous period and it need not cost a fortune. By far the best source of retro furniture is eBay. All levels of retro design sell on eBay: Robin Day, Gordon Russell, G-Plan and Schreiber. Nowhere else is such a wide range available. Buying on eBay needs caution. Most eBay sellers are not experts. They get descriptions wrong; they say a piece is from the fifties when it is from the seventies; they describe almost anything as G-Plan, when it is not. To buy successfully on eBay you need to be very sure of your facts. The other aspect of buying on eBay is how to bid. eBay is not a regular auction; there are different rules. In a normal auction room, the price depends on who is in the room; with eBay, the whole world is in the room. eBay does gives the buyer one advantage, the time limit on the auction. If you time your bid in the last seconds of the auction, you can be lucky, but do bear in mind several other bidders may also be doing the same. eBay's advance bidding system can lead to the price being higher than expected. If two buyers both want the item and both put in what they think is a silly price, then it sells for a silly price. Many eBay sellers will describe a piece of furniture as rare or unusual. With retro furniture, this is often not the case. If the price goes too high, wait for another day. There is only so much furniture one person can own. It is increasingly difficult to find furniture from the fifties or sixties in a charity shop; you might, however, find some pieces from the seventies. If you see a piece you like in a charity shop, buy it straight away. The interest in retro style is such that it will not be there tomorrow. Remember charity shops do not always sell bargains. They quite rightly want to make as much money as possible for their charity. Please do not haggle on the price in a charity shop - it doesn't show a very generous spirit! Car boot sales are still a source of retro furniture. There are still people who do not want to bother to sell on eBay, although it will give them the best price for their item. You need to get there early if you want to buy retro furniture. Again, do not think about it too much; make a quick decision and agree a price if you want to buy, otherwise someone else may snap up the item from under your nose. Junk shops were, for many years, a great source of old furniture. There are still some bargains in junk shops, but prices are often unrealistic. A look on eBay's completed listings will give you a good idea of how much something is worth. Do not be fooled by the line "I could get X for it on eBay". If the seller could, he would. A few specialist retro dealers sell everything from ceramics to lampshades as well as furniture. They are often enthusiastic people who are very keen on the period and have a lot of knowledge. Unfortunately, for reasons of space, many do not sell furniture. The retro shops are exciting places full of colour and the glamour of the era. They are also the safest places to buy. You will get genuine pieces, which are properly dated. You will not find the cheapest prices here though; the dealer has to make a living. Whatever style you chose and wherever you choose to buy it from, the most important first step is to arm yourself with as much knowledge as possible. When choosing furniture or any piece for interior decoration it is best to have an overall vision for the completed room, rather than choosing pieces you like and then trying to fit them together later. Combine retro furniture with modern pieces and new retro style wallpaper, lampshades and other items to create a unique and personal style.